Located on the east coast of Belize at the mouth of the Belize River, Belize City sits on a peninsula jutting into the Caribbean Sea. As the nation’s main port, the city is a hub for cruise ships and is often a jumping-off spot for excursions to other parts of Belize, including the Cayo District’s caves and Mayan archaeological sites along the Macal and Belize rivers. Book a United Airlines® flight and start your adventure in Belize City today. 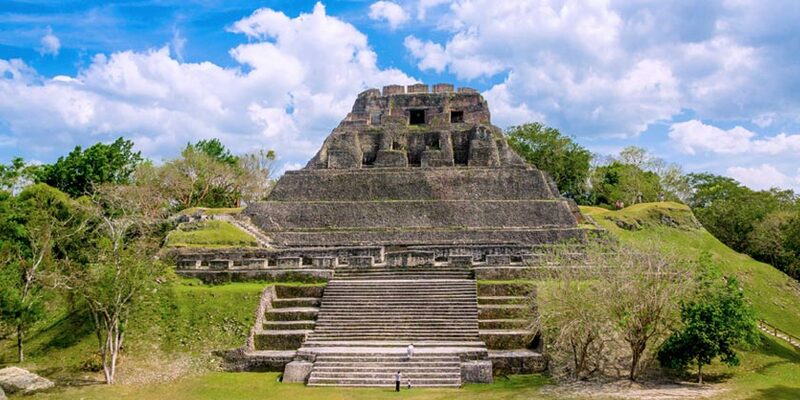 Discover Mayan architecture on an excursion through Belize's exotic landscapes. Enjoy stunning views and wildlife as you trek to the Lamanai ruins. Resort info: Revel in luxurious, laid-back island living at Las Terrazas Resort, where the exotic Belize landscape offers a splendid backdrop for endless outdoor adventure. Resort info: Fronting a spectacular beach on the shores of the Caribbean, this subtle retreat provides a peaceful atmosphere within an idyllic setting. Resort info: Accented by sandy beaches and refreshing tropical breezes, this full-service beachfront resort provides the perfect setting for your next vacation.